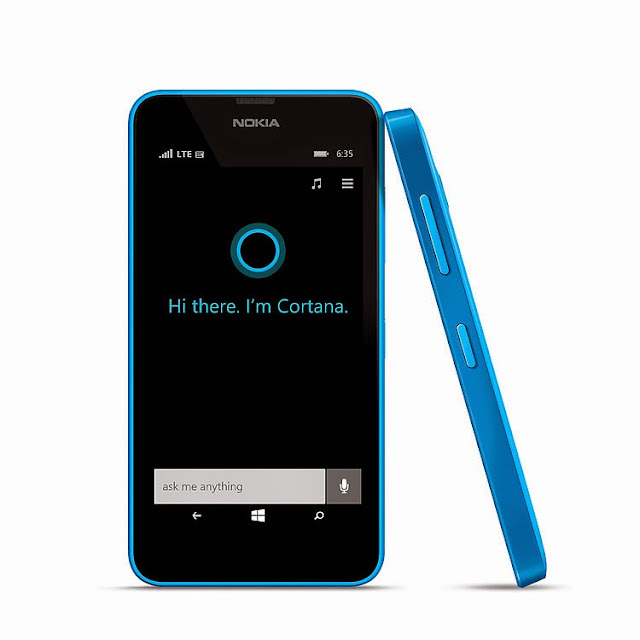 We know that cortana has two stages i.e alpla and beta.Cortana in Beta is for those devices which have cyan update and the user may have registered as preview for developers (pfd).Cortana in Alpha is only available for those devices which have denim update and the user may have registered as preview for developers (pfd) but he or she has update their phone to windows phone 8.1 update 1.The latest update brings cortana China and UK in beta and to India, Australia, and Canada in India. Case 1: If your device is cyan updated and if you are hearing Preview for developers for the first time or you dont know about preview for developer skip the alpha version and head up to read the beta version. Case 2: If your device is officially denim updated or you having devices such as Lumia 535,638,730,735,830,930 read the alpha version. Case 3: If you are preview for developer user and if and only if your device is updated to windows 8.1 update 1 then try out alpha version or else head up to beta version. 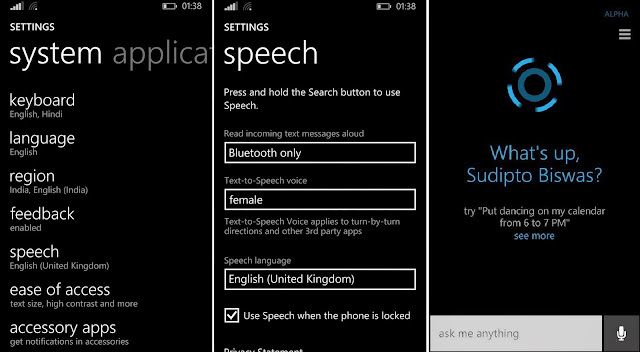 You need to do is to change your speech settings to English UK, Speech: English (United Kingdom). Tap the search button, and you'll have Cortana greeting and in the top right corner will inform you that it's an alpha version. Or you can also turn on cortana by go to settings, do a swipe then turn on cortana. Tap the search button, and you'll have Cortana greeting and in the top right corner will inform you that it's an beta version. Comment bellow for any suggestions!